Where do you need Shed & Enclosure Builders? Comment: I would like to get an estimate for 4 screens on my patio enclosure that needs to be repaired. Comment: Have a shed that needs to be replaced. Bay II Bay Associates Inc.
Wilmington Shed & Enclosure Builders are rated 4.78 out of 5 based on 280 reviews of 14 pros. 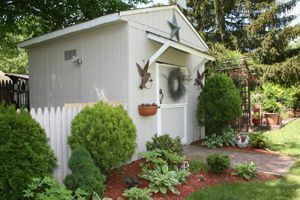 Not Looking for Sheds & Enclosures Contractors in Wilmington, DE?